Just got this in. It's the non Senso version. Weight is 90g if I didn't know any better I would say DHS is making this blade..... other blade is Innerforce ALC. Frequency testing puts it in the off- category . oh for a few seconds I thought they changed the rankings system again. No.1 Donic Ovtcharov looks like Butterfly Inerforce ALC while No.1 Donic Ovtcharov senso looks like Butterfly Inerforce ZLC. But how they play? Glad to read some review soon on MYTT. Looks like a DHS Long 5 with a different handle. I haven't got a chance to try it yet. It will be less head heavy than the Senso version. I need to grab a Fang Bo carbon for a direct comparison. Looks like Donic decided to "borrow" the Dolce and Gabbana logo. Never tried the Fang Bo but have had a couple Hurricane Long V blades . It seems identical quality and similar appearance. That's why I was thinking DHS or whoever makes the HL5 is making these blades. Donic say Dima uses Ovtcharov no.1 senso but who knows, hope we will soon see fresh pictures of his racquet in Pro equipment thread. I will check out the box when I get home and see if it has a label where it was made. Donic retailer in Brazil told me it's made in China. jpenmaster, how thick is the handle relative to the HL5 or the Fang Bo Carbon? I will try and compare them this weekend. It appears to be the same to me. Thin in the middle. 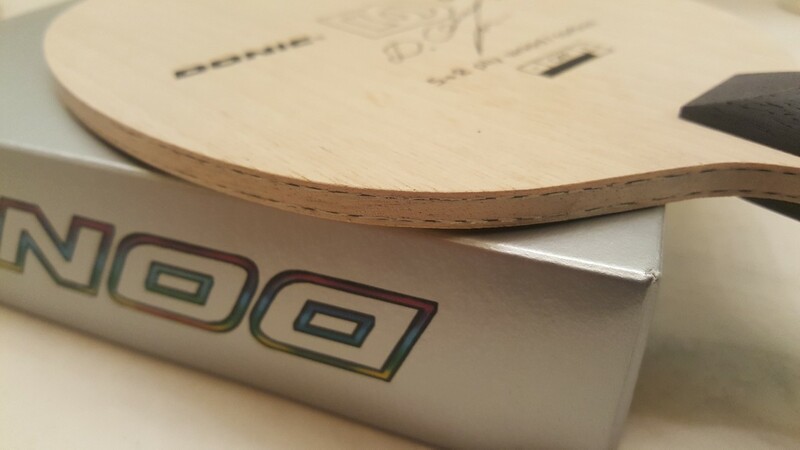 There is no made in.... sticker anywhere on the packaging or blade. I make screenshots from last match with Samsonov. Handle its senso type, but not from No.1 blade. Have been trying out the Ovtcharov Senso No1. From my limited experience, Fang Bo Carbon is softer (and a bit less mushier / less solid) than the HL5. This blade is atleast as solid as the HL5 (ie: not like the FB Carbon). So far, I have had 3 FB Carbon blades and about 5 HL5 blades. 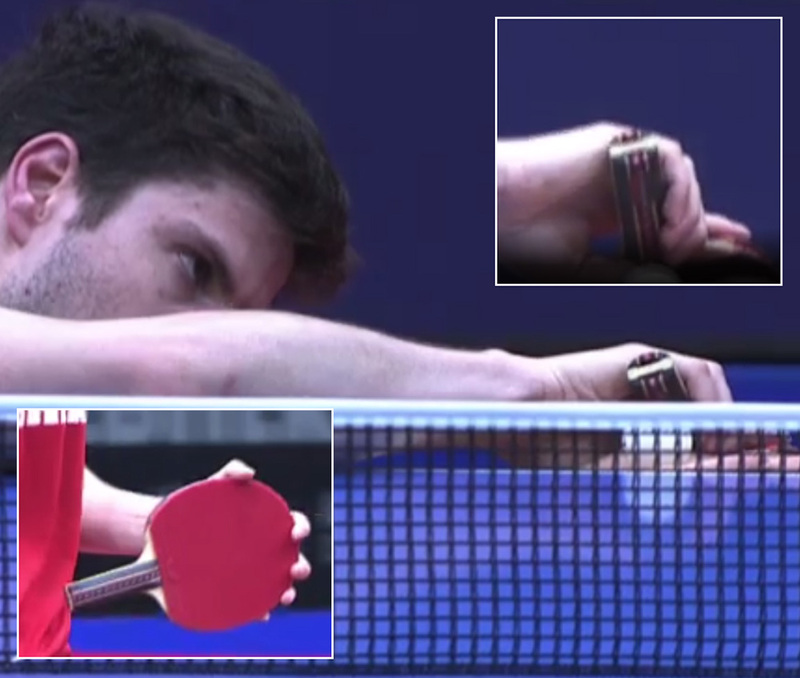 I do see Ma Long giving some custom blades to Ovtcharov . So, perhaps, Ovtcharov was modifying the W968 he got from ML for his play purposes? However, (and I hope that someone can corroborate this), the blade DO seems to be using in the picture someone else posted above this post does not seem to have the same shape as the Ovtcharov No1. It is rounder / more conventional shaped whereas this blade is more elongated. Personally, I don't think that DO uses the Donic Ovtcharov No.1 Senso (which is same as this blade but with modified handle). How does the Ovtcharov No. 1 play? Has anybody used it? It's funny that Donic just cannot make Dima a blade he actually wants to use. How hard can it be? I tried it. It is essentially the HL5 at a cheaper price with a better handle. About as much as a HL5. I don't know how many variants will Donic produce in the future. Last time I tried Dima Original Senso Carbon, only to find out later on Donic produces Dima True Carbon. And now the No. 1 Senso and Non-Senso?? These last 2 are produced by DHS for Donic.